I have always enjoyed the little back-up stories that explore the headquarters of teams. Those kind of tales have been around for decades. Justice League 9 is, basically, one of those type of stories, but the characters are integrated into the piece, and it’s all the more entertaining for it. There is some action in the story, though not as much as usual, and the main plot, of the Totality does advance. Hawkgirl and the Martian Manhunter have a good confrontation, but those were not the parts that really stuck in my mind. I was far more entertained by seeing the Justice League cafeteria, packed with heroes making cameos. Snyder clearly had a lot of fun playing with the scene, and the conversation between Flash and John Stewart humanizes the characters at the same time. But for me what really stand out is the discussion Wonder Woman and Aquaman have about the “domains” of the Justice League heroes. Domain seems an extreme word for “room,” but otherwise it was fun to see how the different heroes developed their personal space in various ways. Superman’s and Batman’s are the extreme opposites, but the others are all distinctive. More thought was put into this than just showing different kinds of pictures on the walls. The very function of the “domain” depends on the person occupying it. On top of that, the conversation that Wonder Woman and Aquaman have also brings out more elements of their characters. I love how uncertain Aquaman is about what to put in his, and how dissatisfied he is with what he has done so far. In a way, this issue is a pause in the larger storyline. But that is hardly a negative. 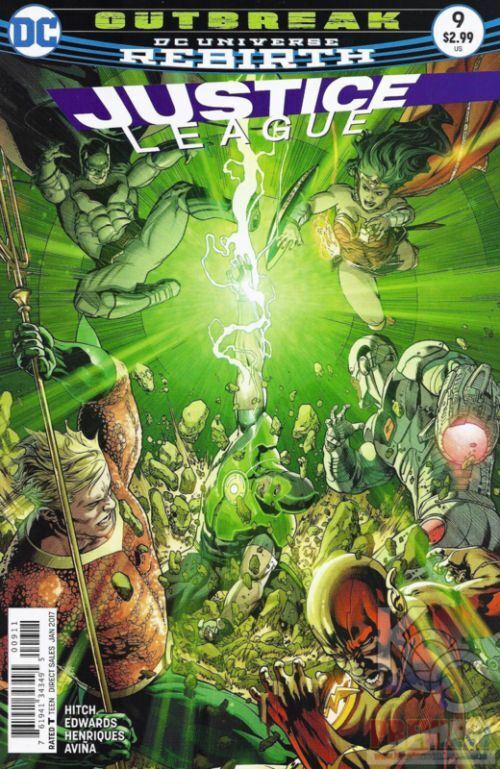 The latest issue is just as much fun, and just as much of an exploration of the League, as the most action packed tale could be.